Telltale's The Walking Dead: The Final Season - Episode 3 Broken Toys is one of the best episodes of the series and sets up the finale for a bang. The Walking Dead: The Final Season has had a roller coaster of a ride setting up new characters and a new environment for Clementine. With the first episode placing Clementine and A.J. 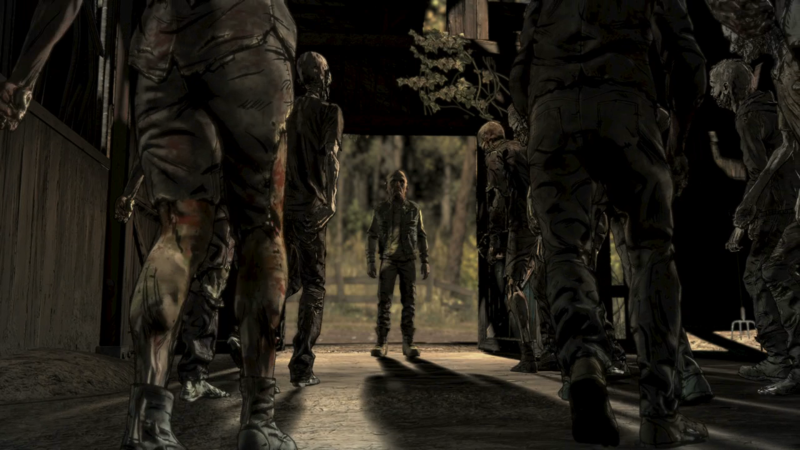 in a brand new group and episode 2 having Clementine take charge. Episode 3: Broken Toys is one of the most emotional episodes in this series, providing more touching connections between the characters as they put their faith into one another for what is a suicide mission. Telltale's The Walking Dead: The Final Season - Episode 3 Broken Toys is one of the best episodes of the series and sets up the finale with a bang. 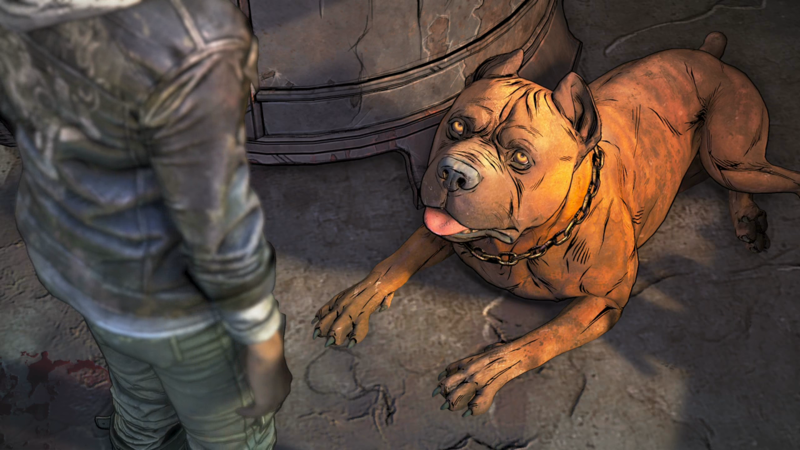 Telltale's The Walking Dead: The Final Season - Episode 3 Broken Toys starts off running, with the events of the previous episode now forcing Clementine into difficult situations. As the episode title conveys, Clementine must lead a bunch of broken kids into a suicide mission to save those captured by Lily. Instead of just having Clementine propel from one part of the episode to the next we slow down, with each of the group becoming closer than ever. The entire group knows they're heading into but choose to handle it as kids. Throwing a party and connecting with one another in more profound ways. Each one sharing their intentions and even why they were sent to the school. This connection between Clementine and the kids was never done correctly in the previous episode so when one of them died it wasn't heartfelt. Episode 3 changes this by providing them with context about who they are, what they lost, and how much each one of them means to one another. They're more than friends, they're family. What the developers have thankfully done is reduce the number of quick time events and combat situations. You still have to sneak and kill walkers but it has a much more dynamic effect on the story. Clementine's motherly duties are still active when in combat and A.J. will learn base on Clementine's action. A.J. 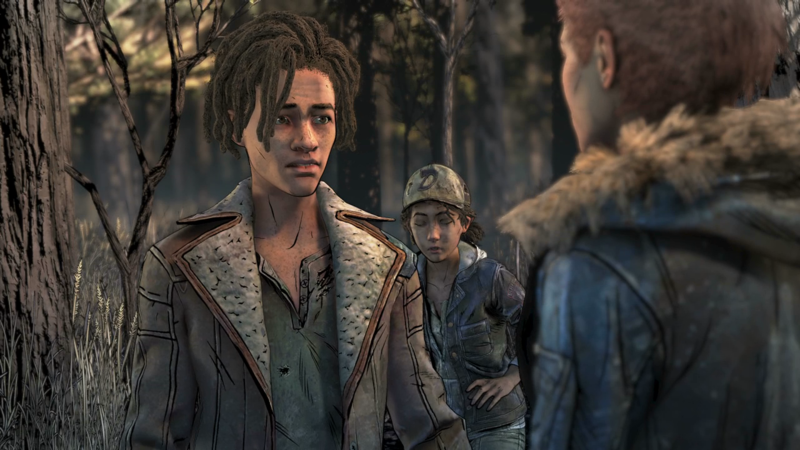 also learns from not only Clementine but others around him, changing his perspective on life and leading to a deeply disturbing yet relevant conversation between the two. The only serious problem in the episode is the same issue that is present in the past episodes. You can't have more than 1 save slot and must replay the entire episode if you want to see different outcomes or change a past decision. Another issue is that the player cannot skip dialogue, a welcomed and mandatory inclusion within narrative games. Since you have to replay the entire episode to change decisions have the option to skip dialogue would've been a prudent inclusion. Given the current circumstance of the developers of the former Telltale Games, it's understandable that this would not be a priority but this issue should've been avoided from the beginning. Telltale's The Walking Dead: The Final Season - Episode 3 Broken Toys is an outstanding penultimate conclusion. It not only sets up for the finale but takes a more narrative driven focus to the season, fleshing out these characters and developing bonds with them. What sells the entire adventure is the constant twists that occur throughout the episode that helps keep things interesting right until the end.